So How Do You to Do It? 1. Wrap the floss around your middle fingers so you can use your thumbs and forefingers to move the floss. 2. 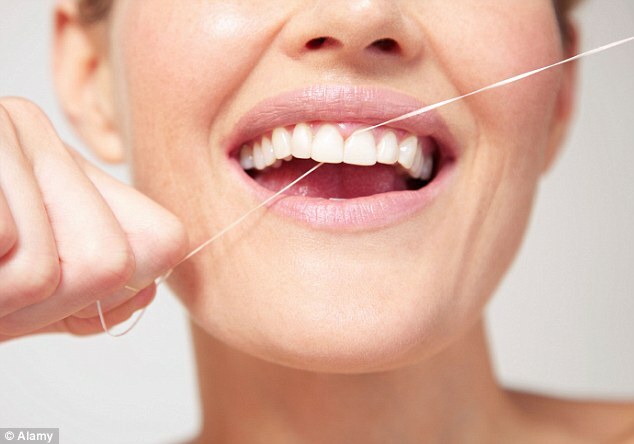 Gently push it between two teeth and “use a gentle sawing motion back and forth until the floss pops down through the contact point, which is the one specific point where the teeth touch together,” says Abeles. 3. 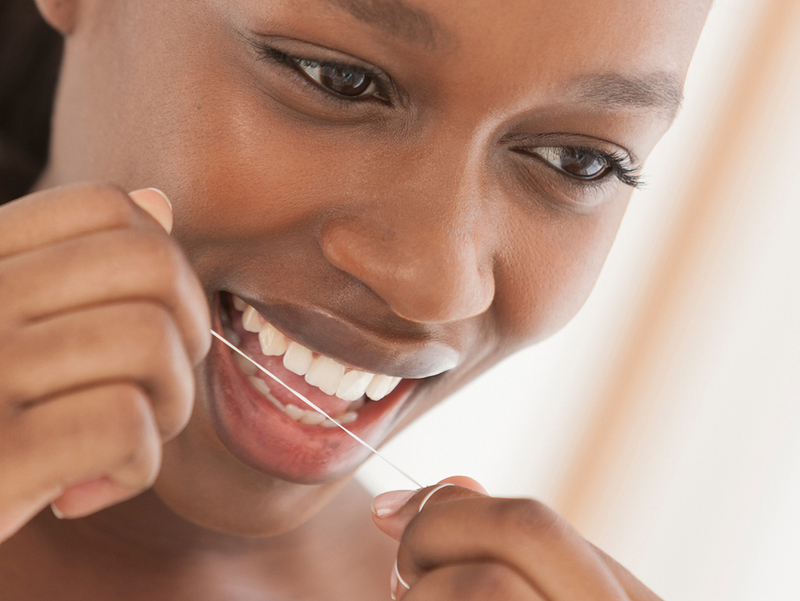 Wrap the floss around the side of one tooth, making a C-like shape, then gently slide up and down. Do this several times, making sure to go slightly underneath the gumline, then repeat on the other side of the tooth. 4. Pull the floss out and rotate it so you’re using a clean spot. 5. Don’t stop if you start to bleed. “If your gums are bleeding, that’s because of bacteria that’s causing inflammation,” says Abeles. Keep at it once a day, and in a few weeks, you’ll probably see an improvement.